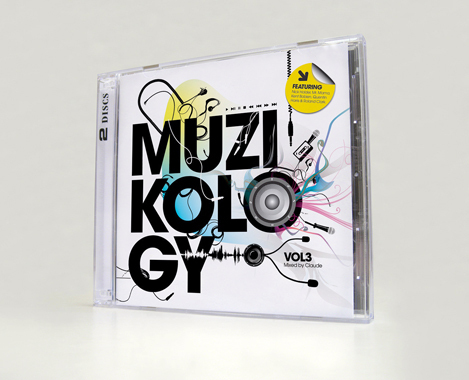 Muzikology 3 by Claude2009 has dawned upon us with us with one of the most outstanding house compilation to come out of mzanzi, simply titled Muzikology 3 mixed by DJ Claude. This forms part as DJ Claude’s trilogy in the Muzikology series which was released under newly formed record label; Shelter Music (formerly known as Sheer House). The compilattion in its entirty is an amalgamation of “back to the future”. Its a double compact disc that “houses” new tracks on disc 1 whereas disc 2 fuses the tracks that Claude made popular over the years, one can safely say those particular track were the building blocks of his lustrious carreer in music. With over ten years in the game DJ Claude still knows how maintain and satisfy a dance floor crowd and that is evident in his presentation on Muzikology 3. With tunes from heavyweights such Louis Vega, Nathan Haines, Quentin Harris and our very own Culoe de Song and Sis n Jones this album would automatically replay itself in your cd palyer. If you wondered where you can find the hit “Happy Endz”, Muzikology 3 is where. 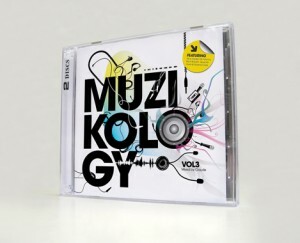 Muzilology is definitely a music lesson according to DJ Claude. The album has been out for a while now and if haven’t heard it yet you are definitely missing out. The album is not just targeted to house fans but to anyone who appreciates good music. The cd cover is one of the most innovative packages I have seen to come out of mzanzi, it alone makes you want to buy he cd…..NICE ONE CLAUDE!!!!! !